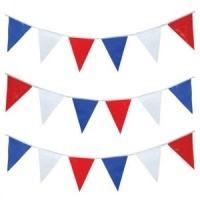 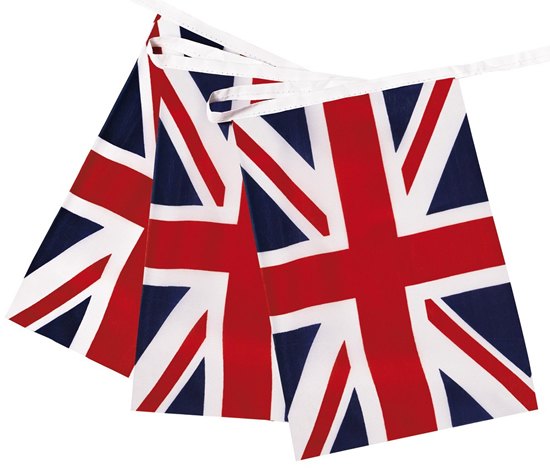 Suitable for indoor or outsdoor use, this 10m length of Union Jack bunting is ideal for fetes, fun days, sports events, Royal celebrations and British theme parties. 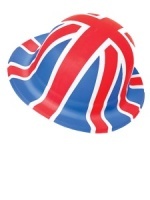 Made from strong plastic. Has 20 flags in total.